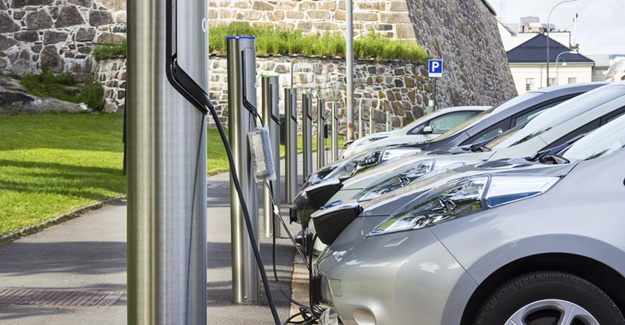 The use of electric vehicle charge points in Scotland has increased by 43% in a year. Charge points across the country were used 37,433 times during August 2017, compared with 26,119 times in the same month a year earlier. A year before that, in August 2015, there were 12,939 charging sessions. Despite the overall increase in usage there was still almost a quarter (23%) of charge points that were not used at all during August 2017. This is only slightly less than the 25% that went unused in August 2016. The total number of charge points across the country also increased over the 12-month period. As of August 2017, there were 1,133 charge points in the ChargePlace Scotland network with a total of 2,089 connectors (sockets) between them. This compares with 870 charge points and 1,772 connectors a year earlier. At the end of September 2017 there were 6,284 electric cars and vans licensed in Scotland eligible for the UK government’s plug-in car and van grant schemes. This compares with 4,020 such vehicles licensed at the end of September 2016. The figures are revealed as part of RAC Foundation analysis of data collected by the ChargePlace Scotland network. The bulk of the charge points in the ChargePlace Scotland network are publicly accessible though some are located on private commercial premises and will have limited, if any, public availability. The analysis does not include domestic charge points also funded by ChargePlace Scotland. Rapid chargers made up 16% of chargers but were used for 49% of all charging sessions.